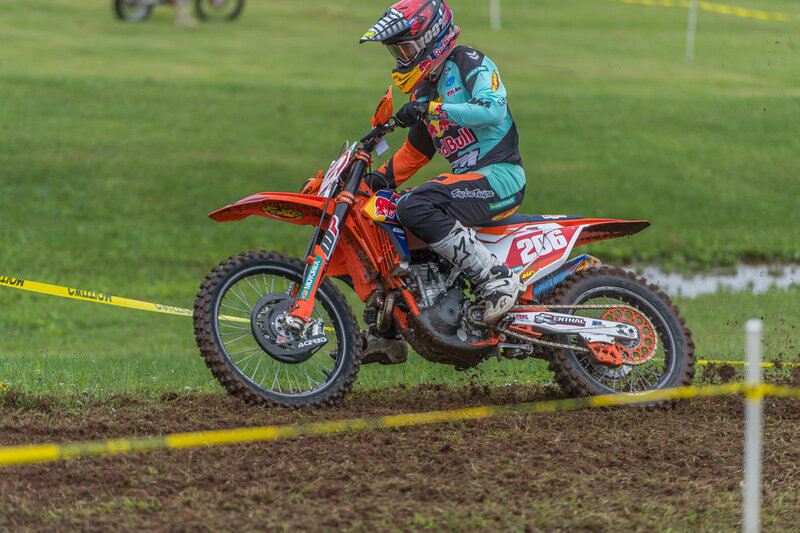 CROSS FORK, Pa. – FMF KTM Factory Racing’s Josh Toth earned his first-career AMA National Enduro overall win on Sunday at Round 6 in Cross Fork, Pennsylvania. Toth led KTM-supported riders Ben Kelley and Steward Baylor Jr. in a KTM-mounted podium sweep, with support rider Grant Baylor finishing fourth at the Rattlesnake National Enduro. Rainfall took place overnight and the rocky and technical terrain became slick and muddy, which made for interesting racing conditions on Sunday. Toth, a Pennsylvania native, welcomed the adverse conditions as he maintained a consistent string of finishes throughout the day. He eased his way into the opening test with fourth-place but he maintained a top-three position in each of the remaining tests. 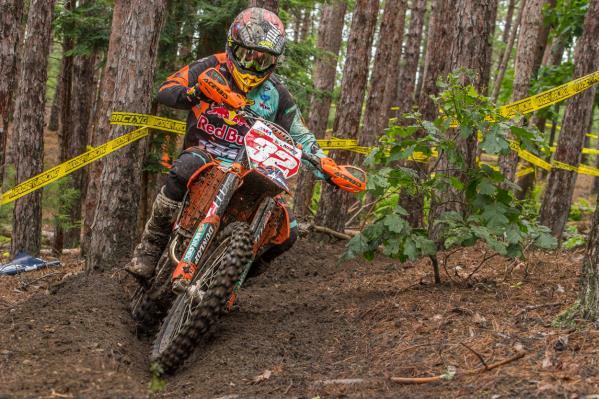 With an significant test-win in section four, Toth went on to clinch the overall victory by more than 30 seconds ahead of Trail Jesters/KTM Racing's Ben Kelley in second. Kelley’s win in the final test was enough to catapult the Pennsylvania native into the second-place position after a close battle with Tely Energy KTM's Steward Baylor Jr., who finished third overall after coming in as runner-up in the final test. His teammate, Grant Baylor, was the only rider to win more than one test but an unfortunate crash in test four kept him from challenging the overall win.